Robin Williams just died. Planes are in a habit of taking a nose dive nowadays. Aside from the daily broadsheets or on CNN or on any news agencies, I assumed you’ll be hearing those news on social media. Today, you might post your condolences to the family of Robin Williams, you might twit about it (might be trending now #RIPRobinWilliams), you might post some screen grabs of Mrs. Doubtfire on your Instagram…that is today. What about tomorrow? 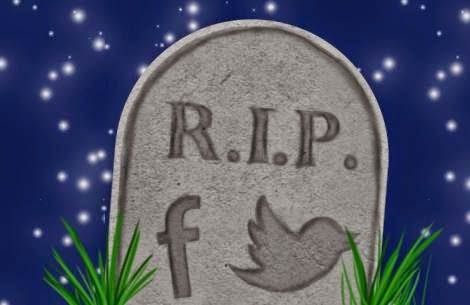 Out of the blue, I wondered, WHAT HAPPENS TO YOUR ACCOUNT WHEN YOU DIE? Though, death is quite a taboo thing for some to discuss, but hey, like it or not, we’re all mortals and someday we’ll get there. Nowadays, most of us lives in a two parallel universe, our physical being and the virtual ones (who don’t have Facebook or Twitter or Instagram? Even those people who don’t know what e-mail is have an email address just to be connected). Unlike our physical assets, i.e. real estate, titulo ng lupa, pera sa banko, even your favorite pets and toys and gadgets, where you can have a will and leave it to someone after your demised, I don’t know if you can do that on your online account… you might be able to put it on your will, because it is very unlikely that after your death people will expect a twit or a post from you “hey guys I’m dead” or "astig men...lakas ng wi-fi dito"..."#feelslikeheaven"...wag na naman mag-selfie...katakot na 'yon. 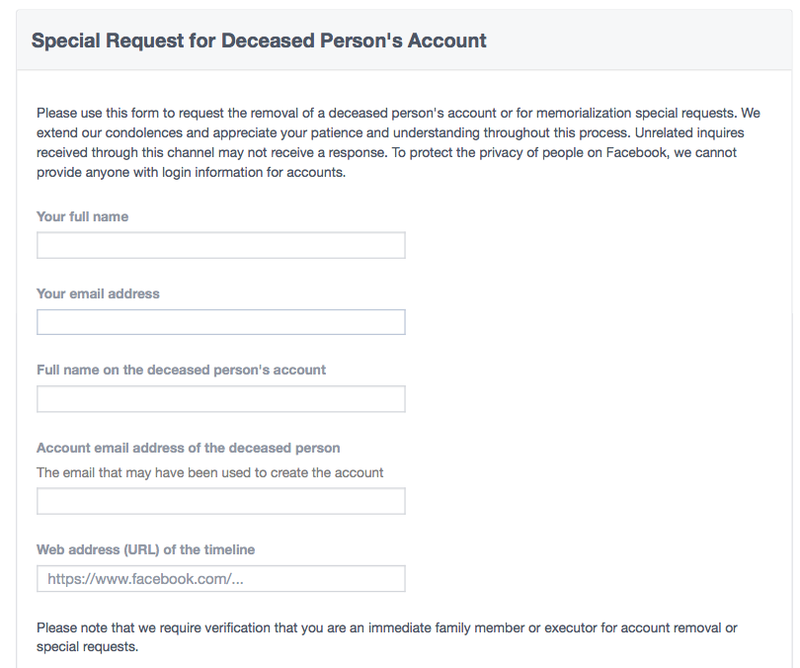 If you’re have a Facebook user, Facebook has a Memorialization Request for those deceased users. The family of the deceased can fill up a form and submit it to Facebook. Some documents needs to be submitted (death certificate, deceased person's birth certificate, or proof of authority). The request can be made by the immediate relatives like the spouse or the parents, even non-family member like your friend or a classmate. Facebook offers to memorialized the account, remove the account, its not clear though if an access to the deceased's account will be given to the petitioner. Moreover, if it’s still being connected is your game after the last of your breath depart from your mortal body, there are some company that will memorialized or immortalized you on the virtual world, check this link for the lists: http://www.thedigitalbeyond.com/online-services-list/. And that’s it…goodbye for now. Some have it as a companion, a source of information – good and bad, some might be nice and some might be not, like a Pandora’s Box. 3. Acknowledged the Source. This one I guess is an etiquette every writer should have. Maybe not all the time, but sometimes we “quote” something from other people on writing or just to add substance to our post, with that it will do no harm to acknowledge them, appreciate them. Iwas plagiarism pa. Pasasalamat ga. Kung ‘yong mga artista nga sa awards night eh me listahan ng mga pasasalamat, diba ok rin ‘yong pasalamatan natin ‘yong ating mga sources. Give credit to the references you used on writing that article, kahit galing pa ‘yan sa Tiktik. Or if we interviewed someone or asked for other peoples opinion regarding the subject, at least give a nod to them who contributed something to make that article done. At aminin na natin, claiming something that is not ours, aside from the “not-so-good-feeling” it’ll give, eh it will also engraved a big capital letter “L” on our forehead. 5. English o Tagalog o Bisaya o Ilocano? 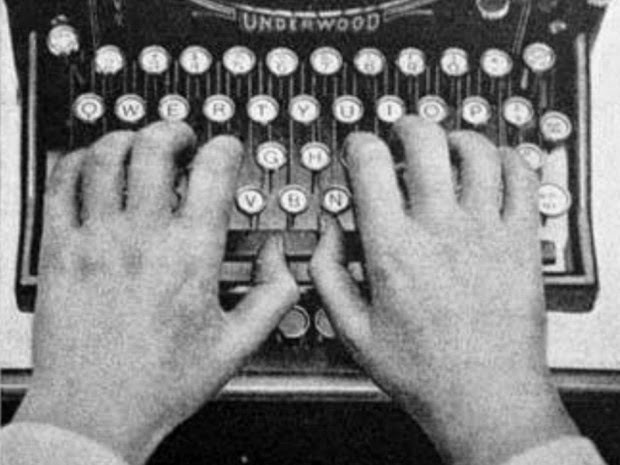 Maybe on writing a blog, there is no such rules limiting the blogger what medium to use. On my blogging career (at may karir pa talaga akong nalalaman), I read / encounter a lot of blogs that even criss-crossing from one medium to another, and yet it works. Even the street slangs, and the new lingos works fine. And the grammar?? Hhmm.. I don’t know if that’s really an issue on writing a blog, well of course using grammar on your writing is encourage, but it doesn’t really hinders or stop the blogger there.. just write, write, write. Though, the subject don’t recognize the verb, and some idioms doesn’t compliment the thought, pero ok pa rin, sulat lang ng sulat. One tip siguro, use the medium where you can express yourself more, and where you’re comfortable of using. 6. This one is more on the “comments” part. Syempre, since the post is open to the public, and on the bottom on your post there’s a lil button there labeled “Comments”, then comments are expected. Well for the “commentators” or to those that will leave comments, be nice naman. Comment more on the content of the post, rather than on how the post has been done (like peeking on grammars, wrong spellings, etc.). For criticism, be nice ulit on telling the writer what is it, or if it will offend the writer, I guess comments box is not the right place, e-mail the writer. And make a comment if you really have something to comment on the post, hindi naman ‘yong basta nalang makapag-comment, may masabi lang ba, wag namang ganun. At isa pa, Comment Box, a.k.a. Instant Chat Room, I don’t know if there’s separate rule for this, but I find these most of the time on the blogs I visited, and nakaka-aliw.. he he he. ‘Yon lang. Oi, gawa-gawa ko lang ‘to ha, if you’re a blogger, those stuff above does not necessarily mean that you have to follow, sabi ko nga gawa-gawa lang ‘yan.